“Buy land, they’re not making it anymore,” is as true today as it was in Mark Twain’s world, notwithstanding our ever more imaginative ways of constructing buildings in or on the sea (not just in Dubai) and other parts of our planet that would once have been considered out of bounds. As with any precious commodity, landowners are finding different ways to utilise their real estate, to optimise or ‘sweat’ assets and to maximise book valuations. It’s long been recognised by universities, that just having a great academic record, important as that clearly is, won’t cut the mustard these days. It’s not just retailers who talk about the ‘destination experience’: an attractive campus, with cutting-edge academic facilities, vibrant social and leisure space and student accommodation is a massive draw in the ongoing pursuit of students. The opposite is also true, hence the sustained investment by universities in their real estate. Research is a clear driver. In Universities UK’s 2017 Report on the economic impact of universities, Oxford Economics estimate that the future benefits of research and development carried out by universities in 2014/15 was worth £28.9bn to the UK economy. Across the UK, universities are continuing to deliver change. In the Midlands, Birmingham City University is leading a network of partners, including Aston University, Birmingham City Council, BMet, Innovation Birmingham and HS2, with a pioneering concept. The Knowledge Hub (K-Hub) will transform the ways we think about, create and develop public spaces, the ways we use those spaces to power collaborative thinking and connecting deep science with start-up energy and focus. 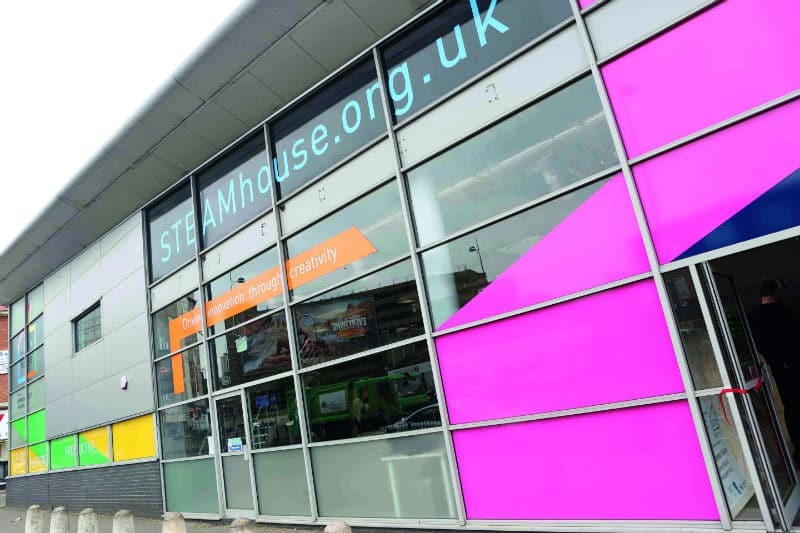 The aim is to make K-Hub a beacon of place-based innovation, leveraging wider benefits delivered by the HS2 Growth Strategy, Industrial Strategy and the Birmingham Big City Plan, with the intention to develop new products/services, create jobs, grow business opportunity, increase productivity and foster vital research. One practical example is how sensors can be utilised within our streetscapes/campuses to better understand the environment and how that can then apply to community improvements to enhance the environment. You can find out more about this at www.bcu.ac.uk/knowledge-hub. The spending on tuition fees is dwarfed by the economic output generated by international students, both on and off-campus: £25.8bn by international students and their visitors. The ways in which we all use working space is changing. Technology is transforming all our lives, with workstations becoming ever more agile and offices offering ‘collaborative space’, where businesses coalesce. The ways in which students are being taught is also changing – the University of Northampton’s brand-new campus does not include a major lecture theatre. Future-proofing a campus will need to continue to embrace this change: flexibility is key in spatial usage and new construction methods. Birmingham City University’s STEAMhouse is the UK’s first Science, Technology, Engineering, Arts and Maths focused arts-based fabrication space, providing a unique collaborative space bringing academics and business together to create innovative industry solutions and for local SMEs to develop new products and services. Phase 1 has already provided vital support for the creative and digital sectors in establishing new business models, reinvigorating manufacturing to provide economic growth, whilst levering in £15m of public funding to establish an innovation campus by 2021. Phase 2 is underway and will add in commercial partners, incubation units and a STEAM academy. Exciting times lie ahead. The last 5–10 years has seen a proliferation of private sector partners engaging with universities to provide student accommodation. This is now a recognised property asset class in its own right, with portfolios trading for millions. What has changed for universities is the extent to which they rely, to a greater or lesser extent, on that outsourced provision. Typically, the more historic deals were of a longer-term nature, usually 25–35 years, so as to enable a developer to recoup its build/refurb costs and move to profit in the later years. More recently, with demand in the biggest cities also covering non-student occupiers, deals can and have been shorter, partly in recognition of the competition for residential units across sectors, not just in education. Universities are reviewing their portfolios for the duration and type of accommodation, trying to balance availability with demand: an unenviable task in the current climate of competition for students, the release of the student cap and the uncertainty surrounding Brexit. It’s not just retailers who talk about the ‘destination experience’: an attractive campus, with cutting-edge academic facilities, vibrant social and leisure space and student accommodation is a massive draw in the ongoing pursuit of students. According to Universities UK, in 2016/17 over 442,000 international students went to UK universities, with 70% of those from outside the EU. The spending on tuition fees is dwarfed by the economic output generated by those students, both on and off-campus: £25.8bn by international students and their visitors. Good quality facilities, both academic and residential, are vital factors to attract international students and the economic benefits they bring. What happens with Brexit will be important for the EU students who comprise one third of the international students who currently study in the UK. There have been proposals to provide for a transitional phase up to 2020 but that doesn’t account for the doomsday ‘no deal’ scenario. The Government is looking to publish its long-promised White Paper in the autumn, which we hope will clarify how EU students are to be treated in a post-Brexit world. We are sure there will continue to be a demand but how exactly that will play out is anyone’s guess. In the meantime, universities are lobbying government and planning student numbers and accommodation needs as best they can. The UK has a housing shortage and the Government is committed to an additional 250,000 new homes being built by 2030. That’s a highly ambitious figure, especially given the current rate of progress. What is clear is that universities are working alongside house builders, reinvesting the sale proceeds in the remainder of their estates. There is plenty to get to grips with: ensuring there’s a fair balance on remediation costs and Community Infrastructure Levy that might be imposed by the local authority amongst other things. Crucially, how retained university land can be used when bordered by residential housing is a fundamental and practical point to get right. Good advisors will be on their mettle. There are good deals to be made for both HE and the house builders but the devil, as with all major projects, remains in the detail. Real estate remains a vital part of a university’s make-up. The pressures to perform are increasing: on the student side, in a place-making context and also financially. Balancing those pressures will bring the fabric of your campus into ever greater relief. Real estate has always been so much more than just property; the current climate really does bring that home. To be kept up to date on legal, regulatory and governance issues, please register for VWV’s dedicated HE portal OnStream at vwv.co.uk/he-onstream. 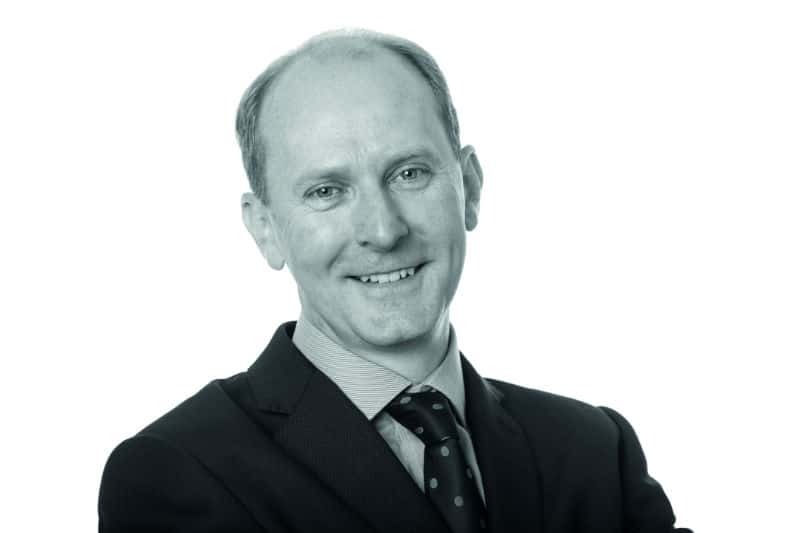 Clive Read is a Partner at leading education law firm VWV. Clive can be contacted on 0121 227 3710 or at cread@vwv.co.uk.